All this time, I thought Saudi Arabia was nothing but sand! I was so wrong! lol! During the past few weeks, Dane and his work mates’ work schedules have been changed because of the Ramadan. Along with that is an opportunity to be able to visit the wonderful places in KSA. Red sand is around 80 KM from Riyadh. 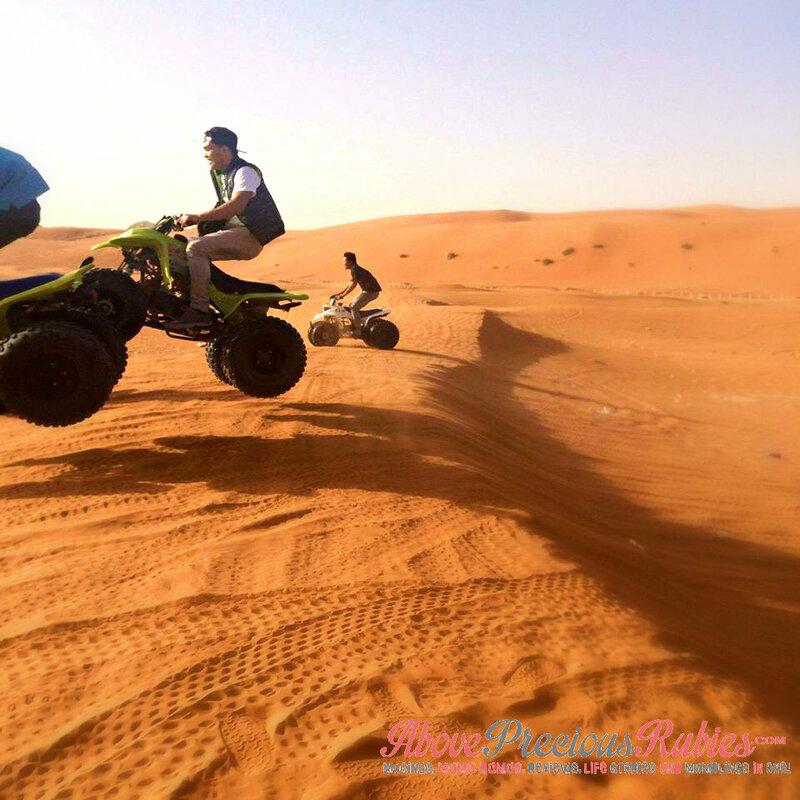 When there, you can hire a bike to roam the sand dunes and can take some pictures. 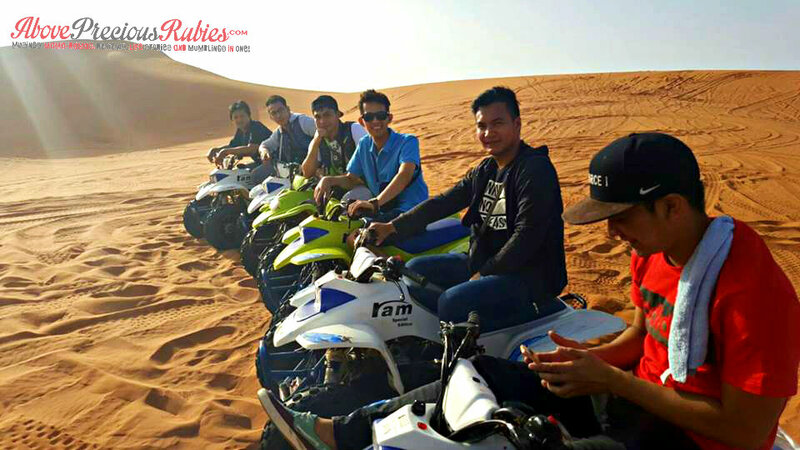 Riding the ATV & discovering the desert wonders is such an amazing experience for around 30 SAR/hr (that’s about PHP 370.49). You don’t know how I miss to see your smile and feel your dimples, dude! haha. Another group photo. Oh, I wish I could teleport! lol. I would love to try these bikes out! I don’t care if I fall so many times! haha. Riyadh is such a wonderful place! If you’re like me who thinks that KSA is nothing but sand, alas, we’re wrong. 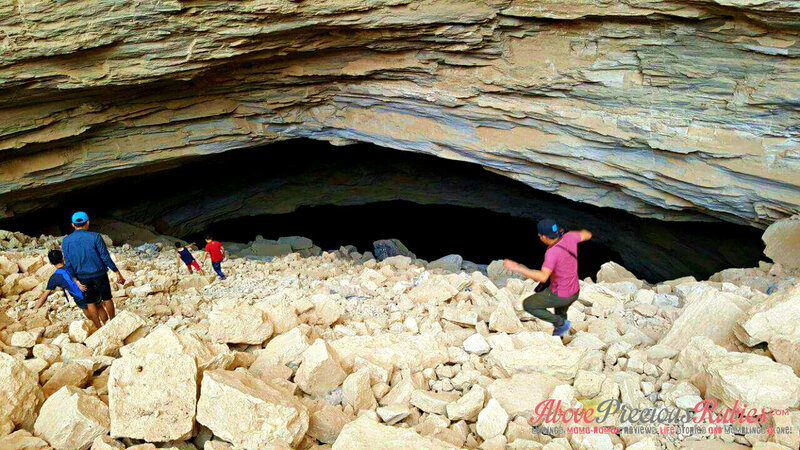 Dane and his friends’ 2nd stop was in Heet Cave. 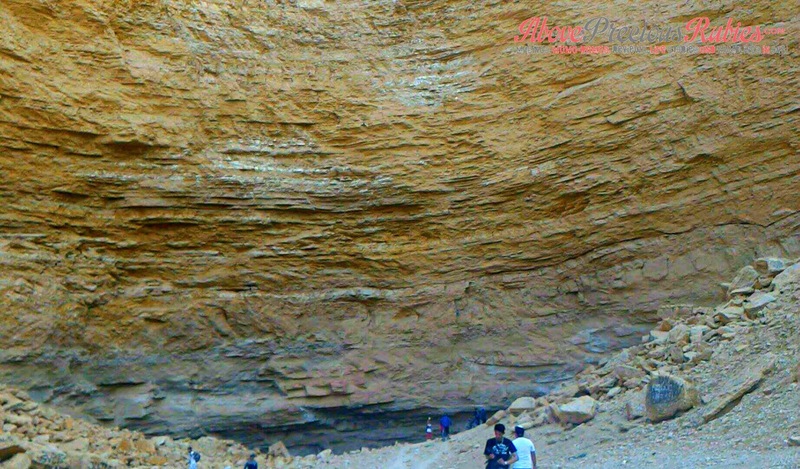 Ain Heet cave or Dahl Heet is an underground lake, at the face of Mount Al Jubayl in Wadi As Sulay in a small village called Heet in Riyadh. Heet is about 40km from Riyadh City Center (in the Al Kharj highway) going towards Al Kharj. 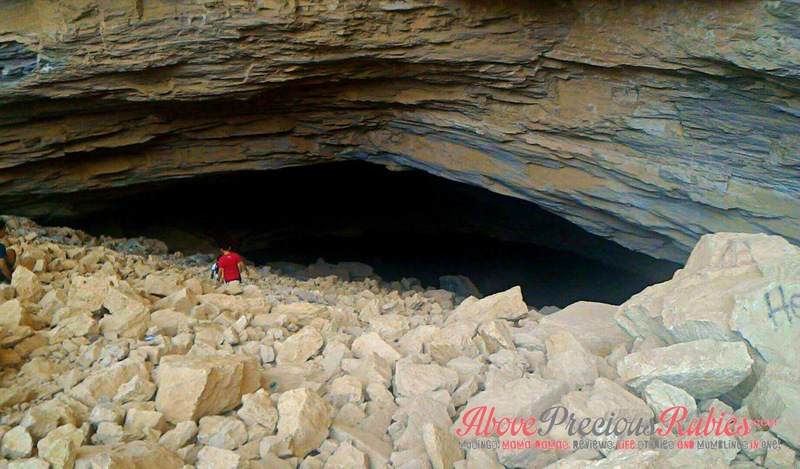 About 5km from Heet Exit towards east on an off road takes you to this entrance of the cave. Dane told me this place is so nice, but so dangerous. He discribed it as “matarik” (steep) and you have to make sure to watch your steps, one small mistake can cause trouble with all the stones in it. But when you reach the lake, you’ll get a dip of the cold and nice water! It does look steep and dangerous! I think I can see the lake already, lol! It’s pretty obvious that brown is the dominant color! haha! I’d love to experience this place! I don’t know if I ever will be, though! Nice to see some photos of KSA. I'm of those people na feeling ko puro sand lang yung place. hehehe! Huhuhuhu Kahit puro sand and rocks halos, I still wanna go! 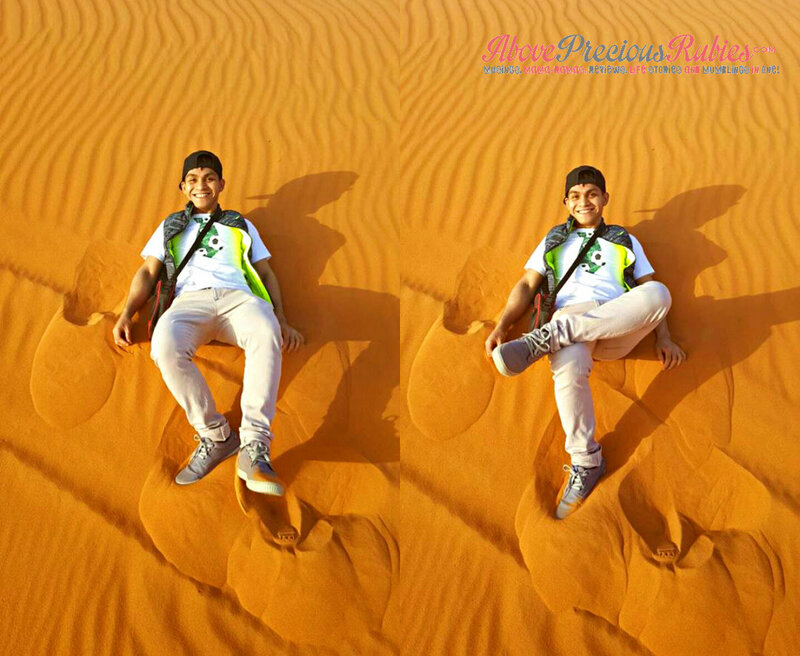 The sand dunes of Riyadh are so iconic! You're so lucky to have seen it. I wish to see it in this lifestyle and see a real, living camel too! haha! Yes, I'm not alone! lol! Oh, I wish we can do that! I would love to! I'm just not sure how much that would cost us. Ako din! Ang ganda parin haha. I would love to see a camel too! Actually, no, I'd love to "ride" on a camel! haha! Amazing!! I wanna have a feel of the sand IRL… The cave looks pretty dangerous.. still at the end of the cake is a treasure – the lake, Haha. I've always wanted to visit the middle east. I'm glad your husband got the opportunity to explore. The sand dunes look amazing! I also felt like I want to Teleport whenever my husband visited nice places in Dubai, when he was still working there. KSA looks amazing. I'm glad your husband was able to enjoy a day with his friends visiting nice places in KSA. 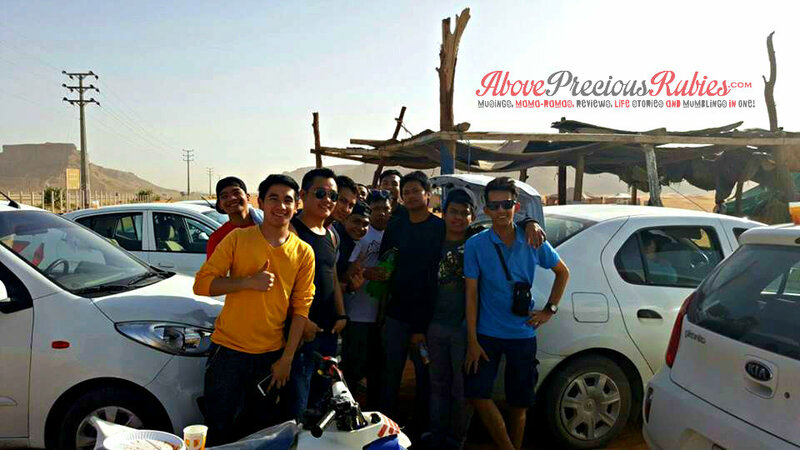 I want to visit Riyadh na, tara Nilyn haha! Job hasn't had the opportunity to explore the city yet so I'll suggest these places to him. I also have the same thinking before that Saudi Arabia has nothing but all sand and sun. But since one of my friends went there and always tell stories regarding KSA, I now know that the place has a lot to offer. I wish I can travel soon and discover more in our country before venturing to a different place. Akala ko din talaga! haha. Thanks to Ramadan, nakalabas sila. Too bad wala yan sa Pinas no, gaw? haha. Mukhang masaya e. haha. Truelyyy! â™¥ I'd love to still try going to that cave though! haha. It does look really wonderful! Ugh, Dubai is such a wonderful place too! I'm happy that's he's able to enjoy it too! Tara Maan! Gora na tayo dun! haha! You're welcome sis! It's really nice! haha. nakakainggit pero keri lang. lol. Masaya na akong makita silang masaya. hehe. I'd love to travel in the PH too before going outside the country! It's so nice that you wrote a blogpost about your husband adventure. My friend in Qatar is enjoying her Ramadan too. Those are really cool places for the type of person who loves adventure. Wow! The photos look amazing. I'm sure one of these days you can go there with him with your little one. I guess if you haven't been to the middle East, that would be the normal impression. Ako rin kasi, hahaha. I want to go to Dubai one day to visit a couple of friends and to see the place din. Not sure if I'll be able to have the opportunity to see Riyadh, but who knows? 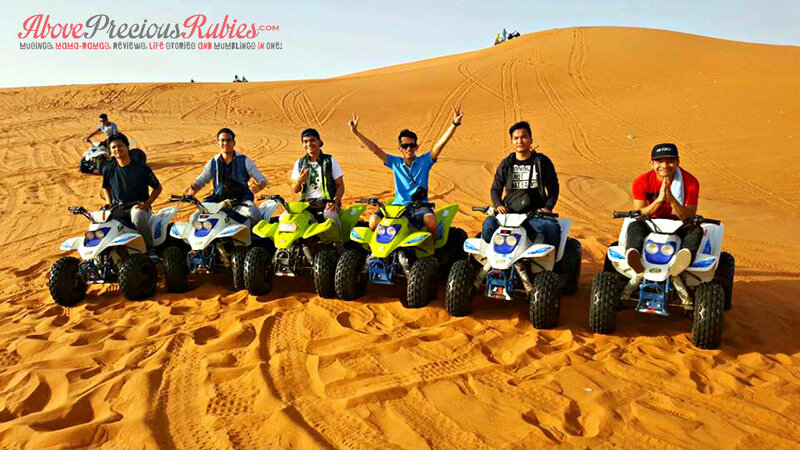 I wanted to go to Dubai when hubby was still there.I wasn't able to so I also blogged and documented his activities. I've never been to the middle east, seems pretty interesting! Glad to know there's more to Riyadh than what I initially thought too. 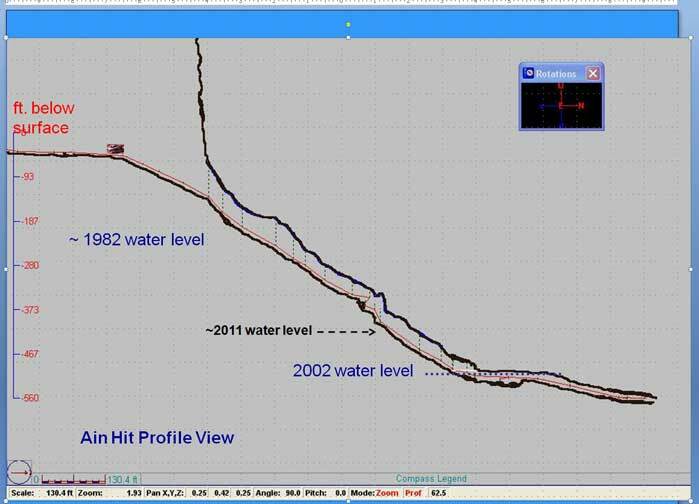 🙂 That lake in the cave sounds fascinating. Would love to go there someday. If not because of his kwento, I won't be able to post about it. hehe. Magdilang anghel ka sana sis! hehe. I completely understand. I am always praying for their safety there, specially our OFWs. I'd love to try the red sand as well! haha. That sounds lovely! That's ok, maybe next time we can go. hehe. It really is! I wish I could also go there! Just wow! Thanks for sharing your story here. I was enjoyed by every second of reading it. Great post. I felt like I was there with Dane, as well. Looks like a great time of open space, freedom to just ride to your hearts desire. That's true example of living life free. Thanks for sharing.